(The Conversation) — Dorothy Day died 38 years ago. Her life followed an unorthodox path – moving from rejecting religion in favor of activism to embracing Catholicism and integrating it with social action through the Catholic Worker Movement. However, to declare her a saint, two miracles through her intercession will need to be proven. The process is long and complex, and only three other American-born Catholics, all women, have been canonized. The Catholic Church remembers the life of saints at daily Mass on their feast day, usually the day of death. What most appeals to me, as a scholar of Dorothy Day, is her ability to discern beauty in the midst of her harsh and demanding life. In that, she has a lesson for the times we live in. The arc of her early life followed an unconventional path. In her 1952 autobiography, “The Long Loneliness,” Day reveals her lifelong attraction to the radical life among anarchists, socialists and communists. Dropping out of the University of Illinois in 1916, she followed her family to New York City and found work as a journalist and freelance writer. Living on her own, she spent much of her time among radicals like Max Eastman, editor of socialist newspaper “The Masses” and communist. As a journalist, she took up the cause of striking workers. She loved to read in her spare time and found especially inspiring the work of Russian novelist Fyodor Dostoevsky. She was also an activist. In 1917, Day joined a friend in a suffragette protest which led to their arrest and incarceration at the notorious Occoquan work farm in Virginia. Day describes in vivid detail the guards’ brutality, grabbing her and dragging her to her cell. She subsequently participated in a hunger strike with her companions to protest against such treatment. After her release, she returned to New York, working odd jobs and drinking until dawn with an assortment of friends in a bar nicknamed “Hell Hole.” She recalls with fondness the playwright Eugene O’Neill reciting Francis Thompson’s “Hound of Heaven.” As she wrote in her biography, the hound’s relentless pursuit fascinated her and caused her to wonder about her own life’s ultimate end. She went through times of deep personal sorrow. 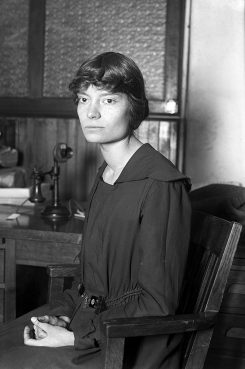 Her granddaughter, Kate Hennessy, reveals in “Dorothy Day: The World Will Be Saved by Beauty” Dorothy’s heartache of failed love affairs, including procuring an illegal abortion. The trauma contributed to her strong opposition to abortion after becoming Catholic. The highs and lows of this life left Day unsettled, and she recalls slipping into the back of St. Joseph’s Church, on Sixth Avenue, taking solace in watching Mass as dawn broke over the cityscape. 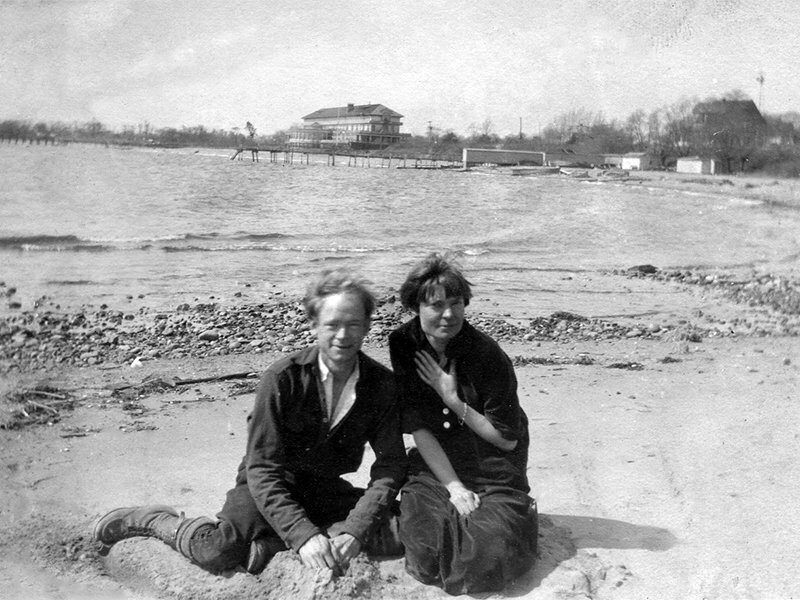 Then, in 1925, Dorothy Day fell in love with Forster Batterham, the brother of a friend’s wife, a transplanted southerner, a lover of nature and, like Day, of opera. They shared her Staten Island cottage and conceived a child, Tamar Therese, born in 1926. She was moved to worship God with others. Even though the man she loved rejected all institutions, especially religious, Day had her daughter baptized a Catholic and herself less than six months later. This ended her common law marriage, though in her memoir, her granddaughter, Hennessy, makes abundantly clear that her grandfather, Forster, remained a constant presence throughout her grandmother’s life. About five years later, Day met Peter Maurin, a French immigrant who taught her about Catholic radicalism. They founded the Catholic Worker Movement and began publishing a newspaper by the same name in May 1933 to disseminate their radical Catholic vision as a counter to Communism. That same summer a Catholic Worker Movement community formed and lived in what Maurin called a “house of hospitality,” a place of welcome to every person, especially the poor. Day explains the gospel inspiration for these houses of hospitality. The Catholic Worker Movement continues to thrive through its newspapers and houses of hospitality. For Day, beauty appeared wherever God was present. This meant Day came to see beauty everywhere and in everything. 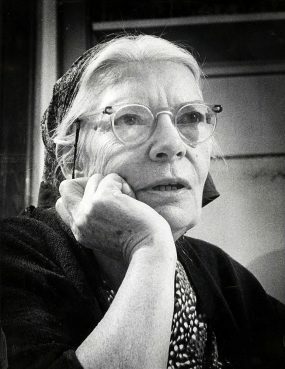 Dorothy Day in 1968. Photo courtesy of Milwaukee Journal/Marquette University Archives. She believed Christ’s saving beauty appeared not only on the altar at Mass but also around every Catholic Worker Movement table. Jesus identified with the least, and so, for Day, Christ appeared in every poor person who came to share a meal at a house of hospitality. Her writings make clear that she never wavered in this conviction. This attentiveness to beauty translated to everything commonplace in her daily life. Another Day scholar told me of his vivid memory of an elderly Dorothy gazing intently at a jar of unkempt wild flowers that were quite unremarkable in their abundance and fleeting in their beauty. Dorothy Day surrounded herself in the beauty of a loving God made manifest in the least – something contemporary culture could learn from. She was brilliant but not showy and as a result will be forgotten in light of people like falwell and Graham. 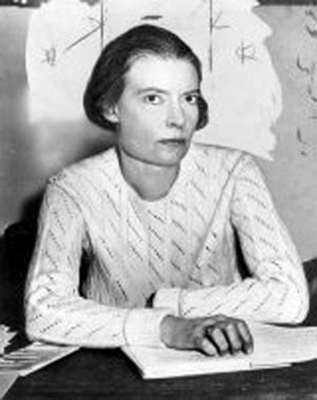 The photo taken at the Louisville Public Library is of another Dorothy Day, who was a librarian there.